The nominations for the new face to grace the plastic £50 note have been revealed and woman scientist Rosalind Franklin, backed by the UK’s pharma body, is among the frontrunners. Calls for a woman to be on the new note, which will be released after 2020, centre on the fact that fewer females have historically been featured on money, despite their significant contributions to science. There have been 174,112 nominations to date, of which 114,000 have met the eligibility criteria: the note must feature someone who is real, deceased and who has contributed to the field of science in the UK. The list comprises more than 600 men and nearly 200 women, including Margaret Thatcher, who was a chemist before she became Prime Minister. 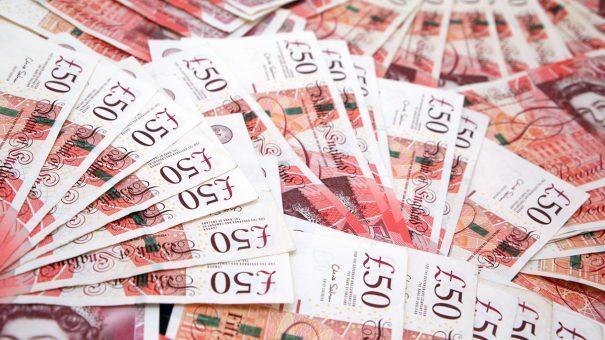 Speaking earlier this month, Professor Carole Longson of the Association of the British Pharmaceutical Industry said the new face on the plastic banknote should be one of the women who have contributed to science, technology, engineering and maths (STEM). Rosalind Franklin, who helped to discover the structure of DNA, was among Longson’s nominations and is considered one of the favourites to be recognised on the £50 note. According to the BBC, bookmakers William Hill place Professor Stephen Hawking as the current favourite, with odds of 7/4, followed by Nobel-prize winning chemist Dorothy Hodgkin 4/1. Computing pioneers Ada Lovelace and Alan Turing have odds of 5/1, as does penicillin founder Alexander Fleming. Franklin is at 6/1. Longson added that banknotes, to date, have ‘massively under-represented’ the important contribution women in STEM fields have made to humanity, adding that where companies are gender diverse, they are 15% more likely to have returns above the industry mean. The government has recognised that encouraging girls to study STEM, and women to take on roles in the sector, will boost the country’s economic prosperity. Pharma firms have also taken steps to address the gender imbalance in STEM – Amgen, AstraZeneca and GlaxoSmithKline have teamed up with the UK government’s Equalities Office and Women’s Business Council to support small businesses in the field to offer a more diverse work environment. Nominations close on December 14, after which time the Bank’s Banknote Character Advisory Committee will make a decision.